Thus Wendy and Fred began a life as a couple built on shared interests and common projects. Almost immediately they embarked on a project that they called “Back Roads of America.” Wendy describes it this way, “It was a way to get back to the grassroots experience of the United States. Both of us had been socially involved in different ways: he in the Civil Rights Movement, and I, at the level of world and national news. However, neither one of us had necessarily gotten the sense of how people from small towns live the American, or the U.S. experience and history. We decided that we would start in Texas. Fred bought a dinky trailer. He liked to call it a camper but it was more like a trailer —pulled by his hand-made Mercedes Cabriolet. Poor car! They only made about 300 of them!” Wendy makes an effort to hold the laughter caused by that jocund image that is obviously one of her fondest memories thus far. “Texas to me was like a completely foreign country,” she adds. Later at a dinner party in Austin that Dave and former Texas governor Anne Richards had given on their behalf, Wendy and Fred confirmed their impression with the notable Texas historian Larry Goodwyn. After doing more research at the University of Texas library they decided to stay in the Lone Star State. Wendy explains why: “Texas cultural frontiers parallel and reflect important cultural, ethnic, and demographic movements in U.S. history.” For a while they chose Austin as their home base. The Agent Orange work is connected with the history of FotoFest. In 1979 Leica had begun to award the Oskar Barnack Prize and Wendy’s Agent Orange work was its third recipient. She remembers, “When Fred and I went to Amsterdam to receive the award, we were invited to Leica in Germany and several people there persuaded us to go to Arles in the summer. We did and we had a fantastic time. We brought the Texas work and the Agent Orange work. There was no organized portfolio review, but there was a way of meeting a lot of people, many of whom were in French, Belgian, and Scandinavian institutions. As a result, we had a lot of our work published in European magazines. The Agent Orange work was also published in the German magazine Stern. It was a very rich time. Back on the plane, Fred and I were talking about Arles and he said, “Why don’t we try something like that in the United States?” We had seen at Arles work that never got to States. Our idea was to break down the hierarchy, the closed circle of the decisions, and the curatorial power of the existing institutions of the United States, and open up to the world. Just about that same time, Le Mois de la Photo started in Paris; so we went and met with Jean Luc Monterosso. In Houston there was a German gallery at the Rice Village owned by Petra Benteler: Benteler Gallery. A very fine gallery that showed showed predominantly European photography. They had a fine show of Atget. 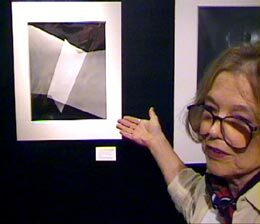 She also showed Hungarian photographer André Kertész, Henri Cartier-Bresson, and some more modern ones too. We got together with Petra and we hatched FotoFest over our breakfast table in 1983.” The first FotoFest was in 1986 and the HYPERLINK "http://2012biennial.fotofest.org/"FotoFest 2012 Biennial will be the Fourteenth International Biennial. Wendy and Fred’s profile as international curators gained along twenty-five years of intense labor has tended to hide their photographic work. That trend has been partially reversed with the recent publication of their book Looking at the US 1957-1987 (2009). In the meantime, Texas for them is no longer the “foreign country” that it once was.